Individual Leadership Coaching for the Business Executive, 3x/month for 45 minutes each session. Sessions are conducted by phone. In person coaching can be negotiated, where available. You will accelerate your results. Your teams will take notice of positive changes. You will be more efficient and effective. You will create or optimize your Vision of Success and create more value for your business. You’re a valued team member, and you are ready to become a more visible, influential leader to make a greater impact and be sought out for new opportunities, but you are unsure of how best to go about it. Your role as a leader is expanding, which means others are relying on you for interaction and sustainable results, but you feel like you’re always spinning your wheels without a clear focus. As CEO or the business owner, your company is in dire need of creating and/or improving a culture of leadership at every level. Whether you’re a CEO looking to experience one-on-one leadership coaching, a business owner looking to implement a tailored leadership coaching program for your team, or a leader at any level looking to improve your influence to achieve win-win outcomes, CIC can serve your individual or corporate needs. It’s what we’re passionate about – it’s what we do. We fully understand how leadership, communication and relationships within a business are crucial to an organization and its future. That’s why we will work with you on assessing and embracing your values, vision, strategy and the culture of your business when it comes to leadership. Let us be a valuable partner in your leadership development. How do you think your team or employees would answer the following? Do you feel involved in important decisions? What’s your perception of the overall leadership quality of your CEO/Manager? Does your CEO/Manager put forth the effort to develop you as an employee; as a team member? As a leader, the next best thing to receiving feedback from a 360 survey is taking that information and doing something about it to achieve sustainable results. At CIC, we can help you with both because we just don’t stop with the 360 survey – we see you through the entire process by helping you take action based on the findings through one-on-one coaching. Through written surveys, personal interviews and coaching sessions, we offer you the benefits of self-awareness, insights and a straightforward action plan. This strategy is based on your needs and goals, to maximize your potential and effectiveness as a leader. As the saying goes, “It doesn’t matter how you start, it matters how you finish,” or in the case of our clients, how you continue to grow and develop as a leader, turning constructive criticism into opportunity for more business and personal success. Let CIC show you how you can benefit from this valuable tool/coaching experience, by contacting us today. Business owners, entrepreneurs and C-Level Executives alike can be just as lacking in communicating effectively as their team or employees. Sometimes they don’t offer up enough information or just the opposite – maybe they’re too long-winded in their delivery. Those in leadership positions can sometimes be abrupt or evasive – or avoid eye contact with others. How do you communicate successfully at work or with clients? How can you become that crisp, clear and concise leader that your team longs for and rallys behind when you deliver your message or motivate them with a we-can-do-this spirit? How can you win over clients with an approachable presentation or in one-on-one meetings? Our most popular type of coaching requested, CIC can provide you with the individual or corporate skills needed through our expertise, insights and real-world knowledge intended to help you and/or your team breakthrough the communication style barriers that hold you back. Let us help you and/or your team gain clarity when it comes to communicating who you are and the focus of your message. Are you looking for ways to be more influential as a leader? With your peers? In your organization? Our Influential Leadership Coaching program will help you identify the traits you need to strengthen in order to be more influential. 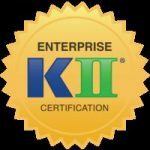 We use the Keller Influence Indicator® (KII®) assessment which provides you with an overall score called your K-Factor®, representing the total measure of your influence potential. We’ll explore all of the Seven Influence Traits® necessary to be influential: confidence, commitment, courage, passion, empowering, trustworthiness, and likeability. In addition, we’ll analyze the strengths, competitive advantages, and blind spots relative to each trait in order to help you define actions and behaviors needed to buff your influence muscle. Gain a comprehensive understanding of your influence potential. Understand each trait and how it impacts your influence potential. Identify traits you need to enhance to more effectively influence within your organization. Work through your influence challenges and opportunities. Increase your ability to influence in a visible, measurable way.